The laundry detergents which are normally used contain strong chemicals. 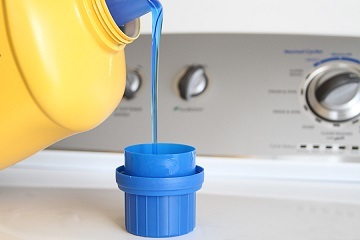 Such strong detergents are harmful for clothes as well as skin. 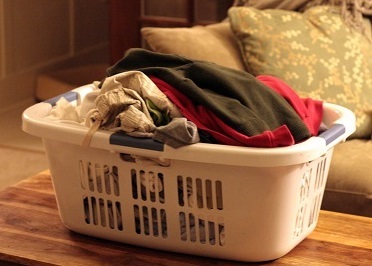 The clothes may lose their color and softness due to the household detergents. Some of the detergents form small buds of fabric on the surface of the cloth. These detergents make the hands go dry. The upper layer of the skin gets damaged with the harmful chemicals used in the detergents. Skin problems vary from small skin irritation to sever ones. Studies have shown that continuous use of detergents containing harmful chemicals can cause neurological problems, poisoning and even cancer. To avoid all these problems, you can use eco friendly laundry detergents. There are several manufacturers in the market which produce the eco friendly laundry detergents. As people have started understanding the drawbacks of chemicals, use of eco friendly detergents is increasing. These eco friendly cleaning agents are available in almost every type. There are eco friendly detergents, fabric softeners and bleach. These cleaning agents contain natural organic elements. These organic ingredients are not harmful for skin as well as for the clothes. There are many eco friendly laundry detergents available in market. The laundry cleaners such as Seventh Generation are popular with many users. These products contain no dye or artificial fragrance. They are basically non toxic. This means no acids are used in the formula. The eco friendly laundry cleaners are generally bio degradable. This means the detergents can decompose naturally. This makes them environment friendly. You won't see a lump of detergent floating over the garden ground. It will immediately start decomposing. The water containing this detergent therefore is not harmful for plants. The eco friendly detergents do not make use of artificial optical brighteners. These don't contain phosphates and petroleum based agents. The detergents are mild on the skin. They are safer for septic tanks, as they do not cause oxidations and rusting. The eco friendly liquid agents generally contain coconut and corn based surfactants. The natural and non animal enzymes remove the protein layer on the clothes. Thus the starch and protein stains are removed with the help of these enzymes. Borax is normally used for softening of water. Ingredients like sodium gluconate help in removing the soil. It acts like an anti re- deposition formula on the fabric. The eco friendly detergents mostly contain salt which acts as the cleaner and brightener. The fabric softeners make use of derivations of soy. The formula when mixed with water softens the fabric. The eco friendly bleaches eliminate the chlorine ingredient. Hence it causes no chronic health hazards. Instead it uses hydrogen peroxide as the bleaching ingredient. The usage of this eco friendly bleach is similar to the normal chemical based bleach. There are special detergents for baby cloths in the eco friendly range as baby clothes are delicate. Any chemical detergent can harm the clothes. Hence using an eco friendly laundry detergent is advisable to all. The eco friendly laundry detergents generally do not create much froth like the regular household detergents. This is because the soap like ingredients are not used in eco friendly cleaners. However these can be used in the washing machine.